Only 1 kilometre southeast of Similan Island 3 (Koh Pa-Yan), and about 400 meters of Shark Fin Reef, hundreds of huge granite boulders and rocks are spread out underwater in such a way, giving the impression of a city layout. Boulder City is a deep and expansive dive site where the shallowest of boulder lie around 12m and the deepest at 40m with gaps of 30-40m between the 3 main pinnacles, stretched out on a sand bottom. The boulders are generally smooth with few corals although the surface area of the boulders is covered with soft coral like the stunning fluorescent pink Anemone Coral. Golden gorgonian fans and sea whips feed in the currents at the sides and in the cracks of the boulders. Boulder City is a great searching site, looking in crevices and finding colourful marine life. Visibility is normally excellent, especially during the stronger currents, so if something large swims by, there's a better chance of seeing it! 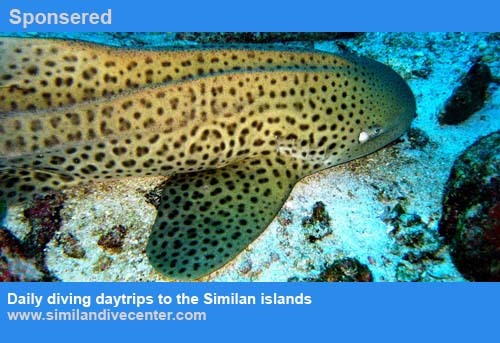 Reef sharks and smaller rays can usually be found out on the sand which surrounds the rocky dive site. In the deeper sections, there are many red and white whip corals. 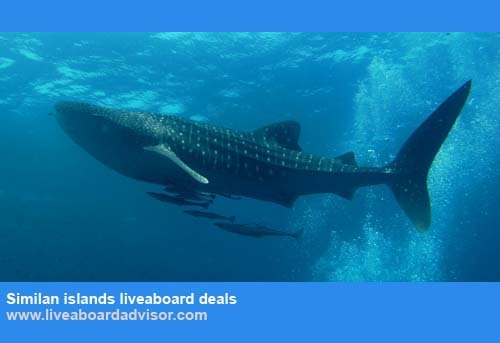 Here you are likely to spot small schools of Oriental sweetlips, blue-lined snapper, barracudas, grouper, triggerfishes, parrotfish and filefish. Other sights to look out for include Napoleon wrasse, turtles, and trevallies hunting swirling schools of glassfish. There are masses of unicornfish, butterflyfish and angelfish happily feeding away. Sea urchins can be found wedged into the cracks, along with lionfish, scorpionfish and large moray eels. Longfin batfish, black damsels and fusiliers are likely to accompany you on your safety stop. 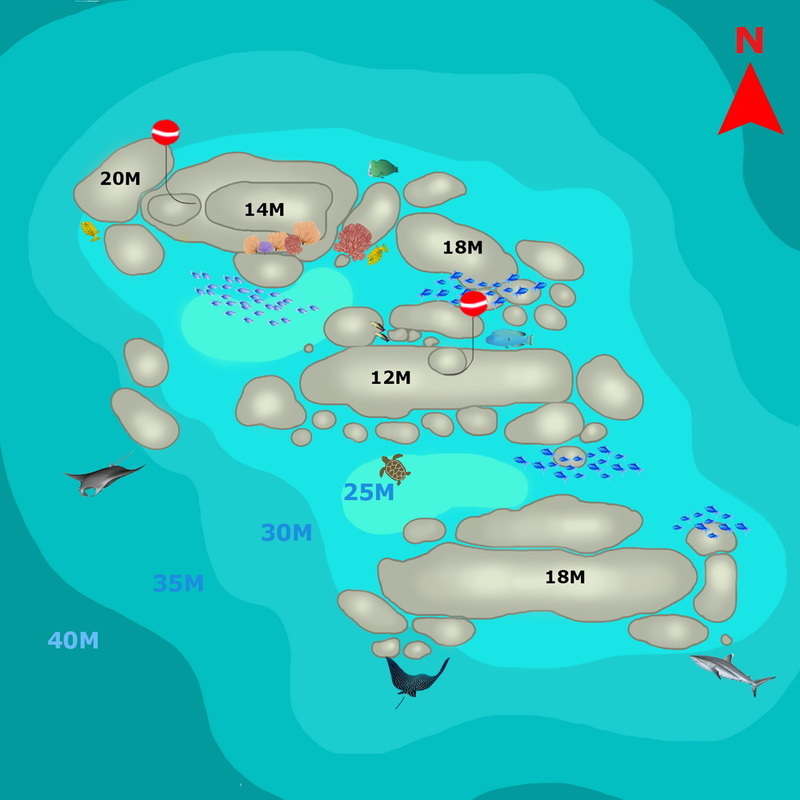 Due to its southern location in the Similan Islands group, Boulder City is often the last dive site visited on a liveaboard trip before the journey back. There is always a good chance of seeing something big here.